Eating out in Brighton is always a joy. 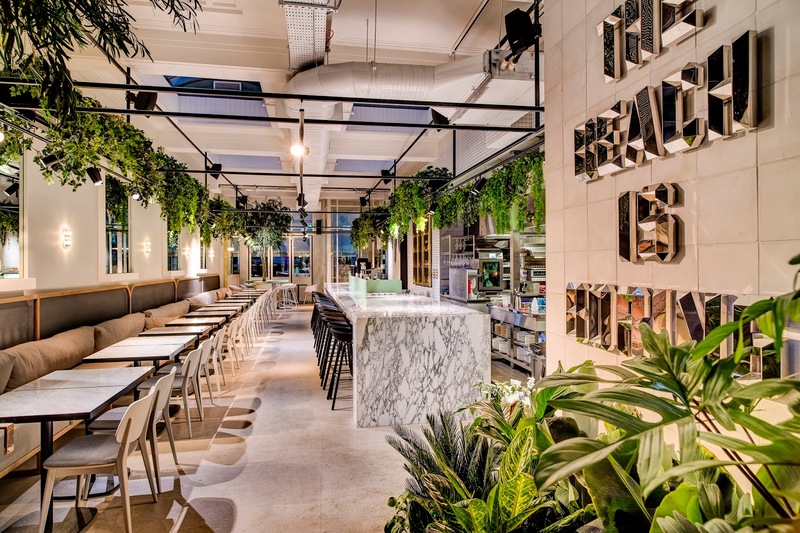 There's no shortage of amazing eateries and there's everything you can think of from the cutest cafes to fine restaurants and juice bars to delis. 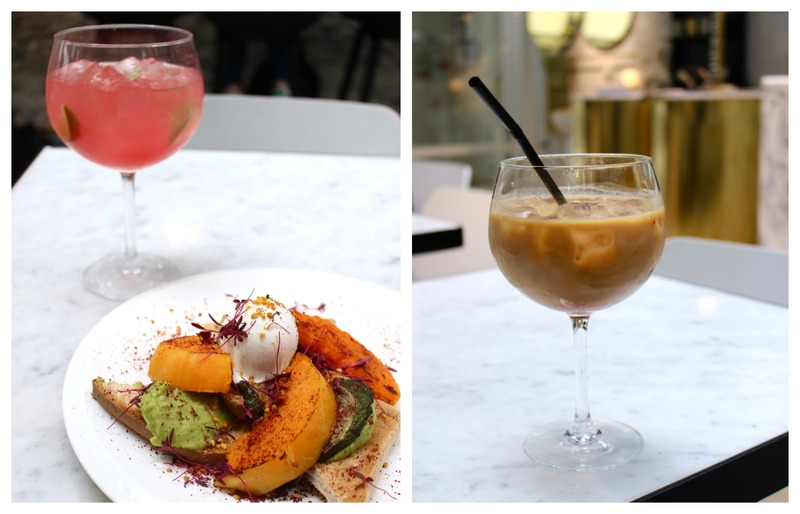 There's also a huge selection of cafes and restaurants that cater to those with specific dietary requirements which is amazing if like me you're gluten free and following a plant-based diet! The latest gem of an eatery I've discovered in Brighton is Red Roaster, which is located in Kemptown Brighton. It's a luxury cafe with a beautiful setting, breath-taking decor, a tranquil feel and the most delicious coffee you could dream of. As I said above, Red Roaster is located in Kemptown (on St James Street to be exact) so makes a great stop off point for brunch or lunch before either wandering along the pier and seafront or heading to the shops for a little retail therapy. It's a central location but tucked away just enough that it isn't crazy busy or noisy whilst sitting in there - winner winner. As me and my partner walked into Red Roaster I was amazed at the decor; it's modern, botanical, airy, light, clean, spacious and somewhat tranquil. There's a marble bar down one side of the restaurant which is in-front of an open kitchen (something I truly love) and down the other side were the tables. There was more seating upstairs as well as a cosy looking courtyard out the back, which I couldn't help but think would be an amazing place to work from or host a lunch meeting. The decor and feel of Red Roaster made a real change from the often cluttered or claustrophobic cafes you can find in Brighton! We were shown to a table almost immediately when we walked in - the waitress who sat us down and showed us the menus was very friendly, smiley and relaxed which gave me such a nice feeling about the place (I can't stand anything less than spectacular customer service!). We started by choosing our drinks - I'd already decided I had to try one of their coffees, it is what they're famous for after all, so I went for a cinnamon iced coffee made with almond milk and my partner went for a beer. My iced coffee came in the most beautiful, large glass with ice and straw....the first sip simply blew my mind! Okay, coffee's coffee but this was exquisite! The coffee was rich yet smooth and the cinnamon swirling through it gave this added depth, warmth and sweetness which was heavenly. I gulped the whole thing down far too quickly! We moved on to ordering our food, and I was really impressed by the selection of unique and delicious sounded dishes. There was baked eggs, baked cauliflower with hummus and flatbread, sweet spiced churros with salted caramel, herby waffles, a selection of salads and burgers and more. I decided to go for the slow cooked butternut squash, organic poached egg, courgette, spring onion and avocado mousse on gluten free toast and my partner went for the chicken burger with curly fries. We did have to wait a little longer than expected for our meals, but as the atmosphere in the cafe was so lovely and the seating was comfortable I didn't mind at all. When our meals did arrive I was blown away with the presentation - it looked so pretty, almost too pretty to eat! I was ravenous by this point so got stuck in, and I'm pleased to report the dish tasted as good as it looked. The butternut squash was cooked to perfection - slightly crispy on the outside yet tender and soft on the inside, the avocado mousse was smooth and creamy, the courgette was super flavoursome, the poached egg had a delightfully runny yolk and the gluten free toast was yummy too! Unfortunately I couldn't try any of my partners meal, as obviously I don't eat meat and the fries weren't gluten free (this was a shame...they could have easily made them gluten free) but he seemed to enjoy every bite and finished every last mouthful, so it was clearly very tasty. After our meals we were shown a dessert menu, which looked oh so tempting with options such as lemon tart, tiramisu and chocolate sorbet but we were both just so stuffed from our mains we couldn't eat another bite! I almost didn't want to leave Red Roaster, the ambiance was something special and I really enjoyed my meal there. I can't really fault the cafe, the service was perhaps a little slow but I can forgive that - nowhere's perfect! The prices were reasonable too, sitting at around £9-£10 for a main which is average for Brighton, plus the quality was to a high-standard and portion sizes were generous. I'm already looking forward to another meal at Red Roaster, I may even just pop in there for a coffee! It's definitely somewhere to keep in mind for a lunch with the girls, a brunch date or even for a business meeting. I couldn't recommend it enough!